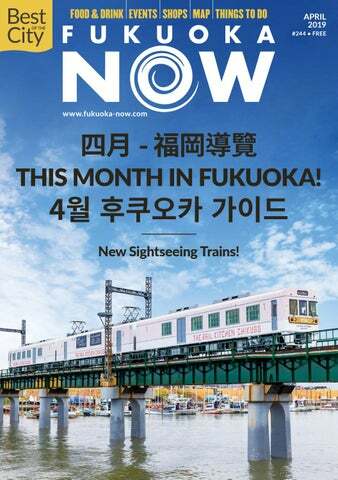 4월 후쿠오카 가이드 New Sightseeing Trains! Fukuoka Art Museum Grand Reopening Exhibition This is our collection + Yinka Shonibare CBE: Flower Power 300 pieces from the museum’s extensive collection of 16,000 items accumulated over 40 years will be displayed including works by Salvador Dali, Joan Miro, Andy Warhol, and London-based artist Yinka Shonibare CBE’s first solo exhibition in Japan. 다이묘에서 10년에 걸쳐 사랑받아온 인크로치의 맛을 한 단계 높아진 버전으로 니시나카스 인크로치에서도 만나볼 수 있다. 제철 재료를 적극적으로 사용하는 오너 셰프 무라야마씨의 간판 요리는 수제 생 파스타 탈리에리니. 쫀득한 얇은 면발에 버섯을 듬뿍 넣은 소스를 버무리고 블랙 트러플을 갈아 올린 메뉴는 많은 단골을 사로잡았다. 런치 및 디너 코스요리도 좋고 원하는 메뉴를 아라카르트 형식으로 즐길 수도 있다. 봄에는 벚꽃과 녹음이 우거진 공원을 향해 난 테라스석에서 스푸만테와 함께 여유롭고 평화로운 한 때를 즐겨보시길. Enjoy the company of a dozen pedigree cats representing ten varieties. Which is your favorite? Soft drink & coffee bar (unlimited refills) ¥300* *tax excl. In Jan. 2019, Namio Nakayama, who lived in Jixi, China until the age of 19, and his wife Liu Yang opened Masamune Keisei Daireimen. Their specialty is authentic Jixi-style noodles, which come in two varieties: daoxiao mian (“knifecut noodles”) and leng mian (“Koreanstyle cold noodles”). The noodles are homemade, but the robot cutter for the daoxiao mian is sure to catch your eye. Nakayama says such machines are commonplace in China to ensure uniform thickness, but his is the only one in Kyushu. The noodles come in a flavorful soup made from beef bouillon and red chili peppers, with a topping of cilantro. Although they aren’t as spicy as the daoxiao mian in China, they are authentic in every other way. The bouncy, thin noodles used for the leng mian pair well with the slightly acidic soup, which is hardly spicy at all. The a la carte menu also features many Jixi favorites, like the spicy beef stir-fry made with homemade chili oil. 19살 때까지 중국 동북에 위치한 지시시(鶏 西市)에 살았던 오너 나카야마씨가 부인 리우 양씨와 함께 2019년 1월에 오픈한 가게로 그가 유소년기부터 즐겨 먹던 지시시의 면 요리인 도삭면과 중국식 냉면이 이곳의 2대 간판 메뉴다. 면은 모두 자가제면으로 도삭면은 두께와 굵기를 균일하게 유지하기 위해 로봇형 기계로 잘라낸다. 이 면에 소고기를 푹 끓여낸 후 고추 등을 넣어 매콤하게 마무리한 육수를 붓고 고수를 얹어 내는데 본토만큼 맵지는 않지만 지시시 사람들도 그 맛을 인정했다고. 쫄깃함을 자랑하는 얇은 면발이 특징인 냉면은 매운맛이 거의 없고 적당한 산미의 육수가 어우러진 담백한 맛이다. 현지인들처럼 면 요리에 각종 사이드 디시를 곁들여 즐겨보자. Try our creamy chicken-base soup with lots of sesame and triple-spice seasoning: Sichuan pepper, broad bean chili paste and chili oil! Free entry for ES, JHS & HS students living in Kyushu and Yamaguchi Prefecture! Women’s Sevens rugby teams from around the world gather in Kitakyushu! Mikuni World Stadium Kitakyushu ➤ 3-9 Asano, Kokurakita-ku, Kitakyushu Organizers: World Rugby, Japan Rugby Football Union, Fukuoka Prefecture, City of Kitakyushu, Kyushu Rugby Football Union, Fukuoka Rugby Football Union, Kitakyushu Rugby Football Union Series Sponsors: Local Sponsors: Toppan Printing Co., Ltd., NTT Facilities, Inc., SSK Foods Co., Ltd., Canterbury Of New Zealand Japan, Canon Inc.
3년 연속 일본 1위를 노리는 후 쿠오 카 소 프 트뱅크 호 크 스 . 4월 홈경기에서는 작년 드래프트 1위로 입단한 카이노 투수의 활약이 주목된다. WE=KYUSHU의 날(4/7)에는 선수들이 특별 유니폼을 입고 시합에 나서며 관람객에게도 같은 디자인의 레플리카 유니폼을 증정한다. 쿠마 켄고가 디자인한 문화교류 시설 큐슈 게이분칸에 주변 지역 내 9 개 사케 양조장이 모여 사케와 소주를 선보인다. 예로부터 술 명산지로 알려진 치쿠고 지역의 술을 비교 시음할 수 있으며(1잔 100엔~) 먹거리도 판매된다. JR 치쿠고후나고야역에서 도보 1분. 스페셜티 커피 원두 판매 카페 Whole or ground to order. Drink in or take away. Directly imported specialty coffees, expertly roasted in Fukuoka. 1950년대부터 2000년대까지의 전 세계 명차 약 200대가 마리노아시티를 찾아온다. 토요타 2000GT, 폭스바겐 비틀, 닛산 페어레이디 등 희귀 차종과 대중차의 그립고도 아름다운 스타일을 감상해보자. 미국 잡화와 구제 옷, 프라모델 등도 판매된다. 도심과 가까우며 후쿠오카 도시 고속도 로를 끼고 있어 아 름다 운 로케이션을 자랑하는 카모메 광장에 로컬 식당의 푸드 부스와 잡화점 등이 30곳 이상 들어선다. 무대 공연도 준비되어 있으며 노점에서 산 먹거리를 맛보며 잔디밭에서 피크닉을 즐길 수도 있다. New York style premium quality steakhouse. The best steaks this side of the Pacific. 3rd Anniversary Fair Reduced-price menus! cers w dan Sho weekends! on Free entry Tue., Wed., & Thu. All-you-can-drink ¥1,500! evoL BENEFITS FOR SNS MEMBERS. SYSTEM JOIN FOR FREE! Women & Men: ¥500 off! the WHOLE NOTE CAFÉ Entrance fee* Women Men on your left. ¥2,000 (incl. 2 drinks ¥2,500 (incl. 3 drinks, Open: 7pm~2am, 7pm~12am and dessert ) dessert:+¥1,000 ) Tue. ~ Sat. & day 12am~2am ¥1,000 (incl. 1 drink) ¥1,500 (incl. 2 drinks) before hol. *Tax incl., fees subject to change for special events. 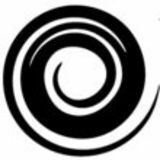 GRANDMIRAGE INSTAGRAM Follow us for news and special offers! 부담 없이 들러 선 채로 가볍게 한잔할 수 있는 선술집. 격식이나 매너에 구애받지 않고 편하게 술과 안주를 즐길 수 있어 최근 후쿠오카에서도 인기몰이 중이다. 올해 1월에 문을 연 오도루 니쿠단고도 그중 하나. 간판 메뉴인 고기 완자 외에도 콘비프와 감자를 머스타드에 버무린 감자 샐러드, 오이 절임 등 심플하면서도 정성껏 만들어진 메뉴를 제공한다. 혼자라도 여러 메뉴를 시켜도 될 정도의 양이라 부담 없고 400~600엔으로 리즈너블한 가격대도 매력적. 약속 장소로도 식후 2차 장소로도 부담 없이 이용할 수 있다. HUGE AMUSEMENT ARCADE IN HAKATA! Don’t buy a souvenir! Play a game and win one! Cafe Miel, part of the Honey Coffee family, took over an old-style coffee shop from the seventies af ter the owner retired. Sourced from trusted growers, the fully traceable beans are roasted in-house. The menu features six single origin coffees and two blends. Depending on the flavor profile you prefer, you can have your coffee made with a stainless filter, a siphon, a tea strainer or by hand drip (+ ¥100). The extra-large cups (280 cc) let you enjoy the different flavors as the temperature of your coffee changes. Not many kissaten with this charm and caliber remain. 1972년 빌딩 준공 때부터 약 반세기에 걸쳐 카페로 사랑받아온 이 장소를 스페셜티 커피의 선구자격인 허니 커피의 직영점 카페 미엘이 이어받았다. 지역, 품종, 제조방법 등으로 분류된 싱글 오리진이 6종, 블렌드가 2종 상시 제공되며 감칠맛이 응축된 원두의 오일까지 추출하기 위해 스테인리스 필터를 사용한다. 깔끔한 맛을 원한다면 사이폰, 제대로 맛보고 싶다면 티 스트레이너, 마일드함을 원한다면 드립(추가 100 엔) 등도 선택 가 능하다. 넉넉한 양(28 0cc)으로 온도 변화 에 따라 맛도 달라진다고 하니 천천히 음미해보자. Enjoy delicious & healthy steamed dishes inside a renovated home. Just steps from the famous Kushida Shrine. Hakata Seiroya Jujuan 6-29 Reisen-machi, Hakata-ku Open: 11:00~14:00 (L.O. ), 17:30~21:00 (L.O.) • Closed: Sun. Kaori’s cakes look good. So good, you just know they're going to be scrumptious. Born in Kitakyushu, she spent a few years in Australia’s Gold Coast and then ran her own cafe in Kyoto before returning to Kyushu to open shop in Itoshima. Noticing how her family and friends loved sweets, and out of concern for their health, she perfected recipes for ‘crazy cakes’, cakes made without butter, eggs, and dairy. These account for about half of her lineup. Not only are they healthier but they’re guiltfree too! Kaori is also a coffee connoisseur. She pairs desserts to specific blends of organic, fair trade coffee which she also sells inside her shop. For her popular Banana Cake, it’s definitely Ethiopian. Everything is baked daily and all handmade. But don't arrive late, she sells out! • 1-4-11 Maebaruhigashi, Itoshima City • Open: Tue., Thu., Sat. & Sun. 13:00~18:00 • Closed: Mon., Wed., Fri. & 1st Tue. 카페, 기념품 가게, 캡슐 호텔 오픈! 하카타항, 후쿠오카 공항 및 후쿠오카 시내, 큐슈, 교토∙오사카∙고베를 잇는 후쿠오카의 거점! CAFE & SHOP NOW OPEN! A new hub bus station connecting the airport, city center, port, destinations in Kyushu, Kobe, Osaka, and Kyoto! Featuring a tourist information center, capsule hotel and cafe & bar too! n SUB Tenji Fukuoka Bldg. Publisher サーズ・ニック Nick Szasz Trans Siberian Railway, Moscow to Nahoka, USSR 1983 - 7 days, 14 hours! 후쿠오카 나우는 후쿠오카˙큐슈에서 활동하는 여러 나라 사람들과 외국인 관광객을 위해 1998년부터 뉴스, 시사 및 각종 유용한 정보를 다국어로 제공하는 외국인에 의한 외국인을 위한 미디어입니다. General Manager サーズ 恵美子 Emiko Szasz Luxurious tea time aboard the Seven Stars in Kyushu. Editorial ラディグノン・アイリーン Irene Ladignon My first bullet train ride. Felt like an airplane that never took off! © 2019 Fukuoka Now Ltd. Permission required prior to any form of reuse. Sales ルッテ・マーテン Maarten Rutte A train ride to onsen town Yufuin, through the Fukuoka and Oita countryside. 福岡的中文、英文、韓文的最佳觀光地圖。 可在服務處及旅館免費取得。 한국어, 영어, 중국어로 후쿠오카를 안내하는 관광지도. 관광안내소, 숙박시설 등에서 무료로 배포 중. Buy & Sell Stuff - Find Jobs Too! Editorial Design: Kohji Shiiki (tokyographics.com) Cover Photo: Nishi-Nippon Railroad Co., Ltd. Contributors: Joel Dechant, Bohyun Jeong, Chin Chun Tang Discover much more about Fukuoka & Kyushu online. VISIT IKI So much to see and do! Are you the active type? Then Iki Island is for you! Spring is a great time to go, and one must-visit place is the uninhabited island, Tatsunoshima, located just off the northern coast of Iki. Join a 40-minute boat cruise (Mar. 21 ~ Nov. 30) around the island or land on the shore to enjoy hiking and swimming. Sparkling sandy beaches, crystal clear waters, and impressive views await! Iki offers impressive scenery and a variety of cultural attractions. No visit is complete without snapping a shot at Saruiwa (Monkey Rock) or the historic Kojima Shrine. Not to mention the more than thirty beaches to choose from! Renting a car is convenient, but there are less expensive and more adventurous ways to get around. Pedaling is a breeze on an Iki Chari electric-assisted rental bicycle, and for longer distances and an easier ride, rent a twistâ&#x20AC;&#x2122;nâ&#x20AC;&#x2122;go! Iki Eco electric scooter.